Home buyers and home owners looking to refinance their existing loans should consider FHA home mortgage loans. These loans can be a great fit for buyers and they have very low interest rates and new relaxed guidelines that allow lenders to grant FHA backed loans much easier. While FHA loans are technically created to give first time home buyers a good way to get into the housing market, they are actually available to anyone who qualifies. One of the great things about FHA loans is that they give buyers the ability to purchase a home with very low down payments. Home buyers can make a deal on a home with as little as 3.5% down. Credit scores are another issue many home buyers have, but FHA loans let home buyers apply and get loans with scores less than most conventional loan standards that require 620 or better. FHA loan guidelines also allow lenders to use “common sense” when looking at a buyer’s past history and current financial situation, allowing a much more flexible approval standard. Finally, mortgage industry software provider Ellie Mae reports show the average FHA loan closing rate at 25% lower than conventional bank loans in August. It’s no surprise, therefore, that home buyers prefer to apply for FHA loans. The Federal Housing Authority is the government agency in charge of FHA loans. It is a branch of the U.S. Department of Housing & Urban Development also known as HUD. Begun in 1934 due to the struggling economic environment created by the depression, it was an effort to boost communities. It was thought that home ownership would stabilize the situation, and it did. At that time, it wasn’t easy for average people in towns across America to get a loan from a bank. Traditional banking loans had extremely difficult approval requirements. Most people were required to produce as much as 50% of the cost of the home as a down payment. Other common terms were loan repayment times of five years. With its plan for reducing the requirements on home buyers, the FHA promised to insure mortgage loans to lenders who provided home buyers with better loan options according to the FHA standards. The insurance that the government would stand behind the loans made bankers more comfortable with lending in situations where they wouldn’t normally give an approval. After 80 years of FHA involvement in the mortgage industry, we know that it is a helpful device that allows buyers to get into homes and enjoy the benefits of home ownership. The FHA has grown to become one of the most popular home mortgage choices, and is the largest home mortgage insurer in the country. FHA 203(k) Home Construction Loan: This program allows home buyers who have property they want to build on get the loan they need. 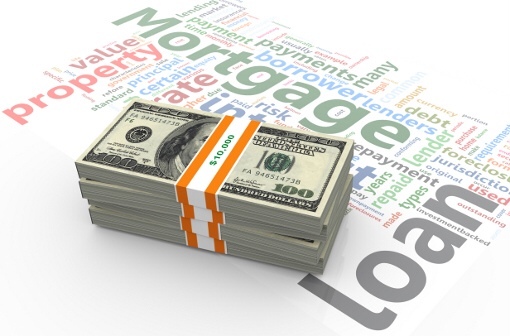 This type of loan can also allow home buyers to rehab an existing home. Some of the improvements eligible under this loan are roofing, plumbing, or most critical system repairs. This loan can also give current home owners the loan needed to replace appliances. FHA Good Neighbor Next Door Program (GNND): This loan program is available to help people in service industries such as law enforcement, emergency transport, firefighting and education to afford homes. This program provides special homes at reduced prices. Some as low as 50% less than market price and it also gives home buyers easy down payment requirements of only $100. This program is available to all qualified home buyers. FHA Back To Work Loan: The Back to Work mortgage helps out home buyers who have recent serious credit infractions such as bankruptcy, short sales or foreclosures that occurred as a result of a loss of income. This loan waives standard wait times for such serious events and lets home owners apply for a mortgage loan in 12 months after the time of infraction.